Will Elsa Have a Girlfriend in 2019 'Frozen' Sequel? Elsa the Snow Queen, voiced by Idina Menzel, as seen in a scene from the animated feature "Frozen." For the movie's sequel, co-director Jennifer Lee did not turn down the possibility of Elsa being lesbian. The director of Disney’s “Frozen” is keeping options open for Queen Elsa as fans call for the character to have a romance with a female in the upcoming “Frozen 2” sequel. In an interview for her upcoming movie, “A Wrinkle in Time,” co-director of “Frozen” Jennifer Lee she said she wouldn't be opposed to seeing Elsa have a lesbian relationship in the 2019 sequel. 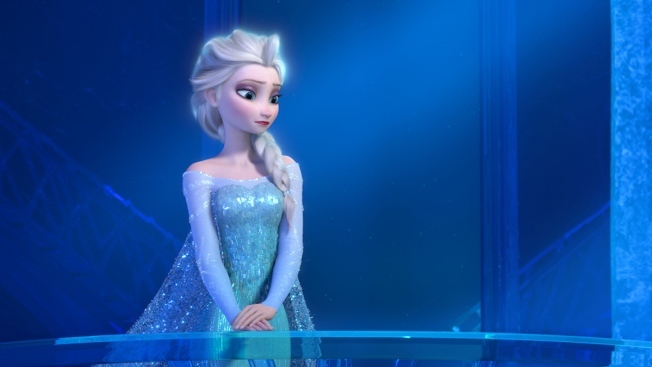 Fan speculation about Elsa possibly being lesbian began with many finding the lyrics to “Let It Go” having underlying LGBTQ themes, some even going as far as calling it a coming out anthem. "Don't let them in, don't let them see, be the good girl you always have to be. Conceal, don't feel, don't let them know," Elsa sings. "Let it go, let it go—can't hold it back anymore.…I don't care what they're going to say." #GiveElsaAGirlfriend trended on Twitter in 2016 after FeministCulture.com creator Alexis Isabel tweeted, "I hope Disney makes Elsa a lesbian. Imagine how iconic that would be #GiveElsaAGirlfriend.” Within hours the hashtag was trending with LGBT activists reportedly tweeting the hashtag nearly 5,000 times an hour. Actress Idina Menzel, the voice of Elsa, said in a May 2016 interview on Entertainment Tonight, "I think it's great. Disney's just gotta contend with that. I'll let them figure that out." “Frozen” became an instant hit in 2013 with fans of all backgrounds and ages, and it also became the first Walt Disney Studios picture to win the Oscar for best animated feature. At the worldwide box office the movie clocked in $1.27 million. The anticipated release date for “Frozen 2” is Nov. 27, 2019.